This feeding bowl set is perfect for you and your baby. Their special, soft touch texture makes them easy to hold. And when they’re not being used, you can nest them inside each other – saving space in your cupboards. 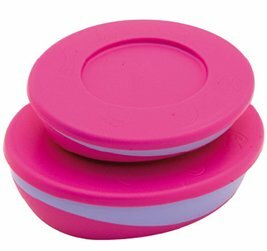 You can use the bowls to store food in the freezer and, once the lids are removed, they’re great for warming-up portions in the microwave. Click the button below to add the Amadeus Medium & Small Feeding Bowls to your wish list.